Natural gas backers are launching a drive to persuade automakers to build compressed-natural-gas fueled cars and trucks. Six custom-built CNG vehicles are on display now in Washington, D.C., and builders say production versions would not cost much more than standard gasoline vehicles. Fuel can cost less than $1 a gallon-equivalent when produced at home. WESTCHESTER, California — A natural gas lobbying group is launching a national effort today to persuade automakers and lawmakers to get off the gasoline and turn to natural gas as a significant fuel for new passenger vehicles in the U.S.
Natural gas advocates say that increased use of the suddenly plentiful fuel — made so by the opening of huge domestic reserves that can be exploited through an extraction process called hydraulic fracturing, or “fracking” — can help the country cut its dependence on imported oil while reducing greenhouse gas emissions and saving consumers millions of dollars in fuel costs. But all that doesn’t matter if no one can afford the cars — of if they don’t offer the levels of performance, convenience and utility American buyers expect. 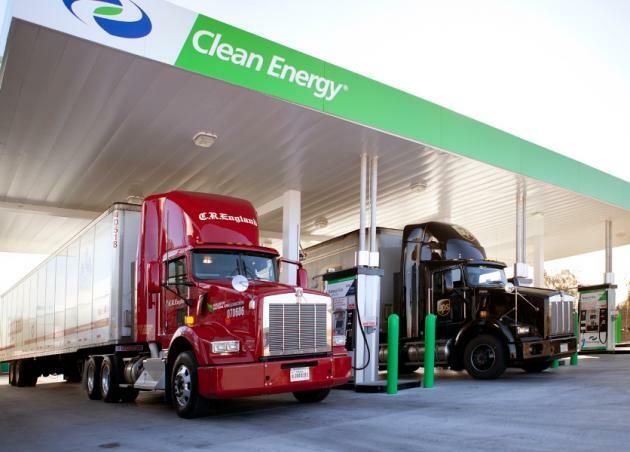 The big selling point of the Alliance program is that properly designed CNG-gasoline “bi-fuel” vehicles can be “no-compromise” cars and trucks that don’t sacrifice performance or storage space and don’t have exorbitant price tags, said Eric Noble, a consultant for the American Natural Gas Alliance-backed project. Noble’s company, CarLab Inc., built four bi-fuel cars and SUVs that borrowed their operating philosophy from the new generation of plug-in hybrid-electric vehicles: use the alternative fuel for most daily driving chores but keep plenty of gasoline on board for extended trips and to avoid the danger of being stranded if the alternative fuel can’t be found. To drive home those points the Alliance recently gave Edmunds.com and several other news organizations an advance look at six purpose-built bi-fuel cars, vans and trucks at a Southern California Gas Co. pumping facility on a hill overlooking a vast underground natural gas storage field just north of Los Angeles International Airport. The same vehicles were rolled out in Washington, D.C., this week in a bid to wow legislators and people attending the annual ACT Expo. “The cars in this program are the first step on the path to [mass] production,” said Barry Carr, an ANGA member and business development director for Landirenzo USA, the North American arm of a major Italian producer of CNG bi-fuel systems for automakers and aftermarket conversion companies. Landirenzo, which built two cars for the ANGA demonstration, also makes systems for Fiat, General Motors, Volkswagen, Renault, Nissan and others in Europe, he said, and is doing aftermarket systems in the U.S. for Ford and GM trucks. CNG could account for up to 80 percent of the average car owner’s annual mileage in a properly designed bi-fuel vehicle, Carr said. Natural gas fuel can cost well under a dollar a gallon when produced on home-based compression and pumping systems being developed by companies including Whirlpool. 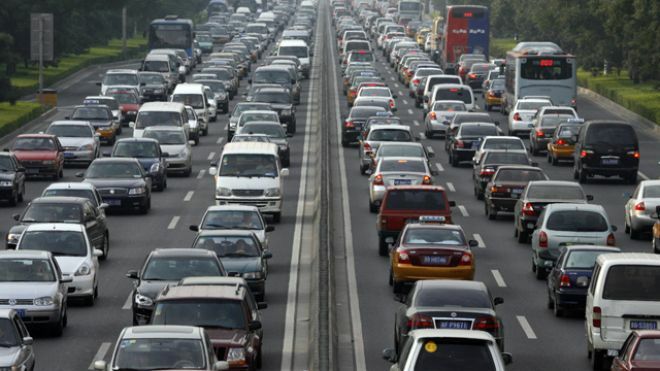 Natural gas is a widely used passenger vehicle fuel in parts of Europe and South America and there are more than 15 million natural gas vehicles worldwide, said Kathryn Clay, executive director of the Drive Natural Gas Initiative and an ANGA member. “But less than 1 percent of them are in the U.S., despite our big natural gas production,” she said. Noble, whose Orange, California-based company built four of the six demonstration vehicles in the program, provided detailed cost sheets that showed the market price of every screw, fitting and supply line used in the conversions. CNG costs vary from region to region based on the cost of the electricity used to compress the gas and the regional price of the gas itself. At retail pumps around the country the price is typically at least 50 cents a gallon less than gasoline and it can be half the price of gasoline in many areas. A huge drawback of CNG passenger vehicles so far has been the high cost of the systems, which require expensive high-pressure fuel tanks; the loss of cargo or passenger space that’s given over to those large, cylindrical fuel tanks; and the lack of a nationwide CNG refueling system. The system being pitched by ANGA tries to address all of those issues. The average premium over MSRP for the all-gasoline versions of the four bi-fuel vehicles shown by CarLab was just under $2,900 for cars built in small commercial quantities of 20,000 units a year, and slightly less than under $1,900 for vehicles built in large volumes of 200,000 or more per year. “The average payback period is 2.2 years for someone driving 12,000 miles a year with gasoline at $3.53 a gallon and CNG at $1.17” a gasoline-gallon equivalent, Noble said. The costs Noble cited contrast sharply with the nearly $7,500 price premium Honda charges for the 2012 Civic Natural Gas — the only factory built CNG passenger car sold in the U.S. today. The key difference is that the Honda is a dedicated CNG vehicle that can’t use any other fuel — and thus has a large and very expensive high-pressure fuel tank — while the alliance is promoting bi-fuel vehicles that don’t need substantial CNG tanks. 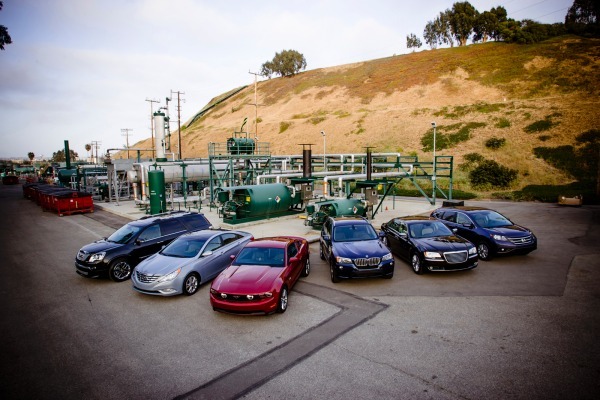 The four CarLab demonstrators — a Ford Mustang GT, a Hyundai Sonata sedan, a GMC Acadia large crossover SUV and a BMW X-3 small crossover — all are designed to travel 50 miles on CNG before switching over to gasoline. The two vehicles prepared by Landirenzo — a Honda CR-V small crossover SUV and a Chrysler 300sedan — emphasized CNG use and thus had larger tanks for the pressurized fuel and correspondingly higher conversion costs that added $4,800 to the MSRP of each. The computerized engine control unit in each of the demonstration vehicles decides which fuel to use for the best performance, but prioritizes CNG until that fuel is depleted and gasoline is all that’s left to burn. The CarLab vehicles kept their stock gas tanks and added small CNG tanks, typically holding the energy equivalent of 2 to 4 gallons of gasoline, while keeping all of their original cargo space. The Landirenzo vehicles had 9-gallon-equivalent CNG tanks plus their stock gas tanks, adding almost 180 miles of CNG travel to their range but losing a substantial amount of cargo space — 75 percent in the Chrysler’s case. All six vehicles maintained their stock horsepower and fuel economy levels with either fuel. Edmunds says: Sounds like a couple of interesting approaches. Is anyone in the car business listening? This article was first published by Edmunds.com. Pennsylvania environmental officials are offering $10 million worth of incentives to companies, government agencies and nonprofits for the purchase of cars or light trucks that run on natural gas or to convert lighter-weight vehicles that now use gasoline. The Pennsylvania Department of Environmental Protection launched the program Wednesday in a bid to generate demand for natural gas vehicles. A drilling boom in Pennsylvania and other states in recent years has produced enormous quantities of cheap gas. The DEP grant program is open to nonprofit organizations, companies, local governments and local transportation agencies for natural gas vehicles weighing less than 14,000 pounds. The program also covers conversion or purchase of electric, propane or other alternative fuel vehicles of any size. Grants will be awarded in the fall. Funding comes from a tax on utilities. The program will help put new or converted police patrol cars, passenger vehicles and light-duty trucks on the road, DEP Acting Secretary Chris Abruzzo said. Earlier this month, the state awarded more than $6.7 million in funding to 18 companies and local governments that switched to natural gas for buses, garbage trucks and other heavy-duty vehicles. That money came from an impact fee on drillers. This article was first published by PennLive.com. Natural gas, as compressed natural gas (CNG) and liquefied natural gas (LNG), is the fastest-growing fuel in the transportation sector in the USA, reports the U.S. Energy Information Administration (EIA). The agency projects an average annual growth rate of 11.9 percent from 2011 to 2040. Heavy Duty vehicles (HDVs) — which include tractor trailers, vocational vehicles, buses, and heavy-duty pickups and vans with a gross vehicle weight rating (GVWR) of 10,001 pounds or more — lead the growth in natural gas demand throughout the projection period. Natural gas fuel consumption by HDVs increases from almost zero in 2011 to more than 1 quadrillion Btu in 2040, at an average annual growth rate of 14.6 percent. Although HDVs fueled by natural gas have significant incremental costs in comparison with their diesel-powered counterparts, the increase in natural gas consumption for HDVs is spurred by low prices of natural gas compared with diesel fuel, as well as purchases of natural gas vehicles for relatively high-VMT (vehicle miles traveled) applications, such as tractor trailers. The total number of miles traveled annually by HDVs grows by 82 percent in the Reference case, from 240 billion miles in 2011 to 438 billion miles in 2040, for an average annual increase of 2.1 percent. HDVs, those with a GVWR greater than 26,000 pounds (primarily tractor trailers), account for about three-fourths of truck VMT and 91 percent of natural gas consumption by all HDVs in 2040. The rise in VMT is supported by rising economic output over the projection period and an increase in the number of trucks on the road, from 9.0 million in 2011 to 13.7 million in 2040. 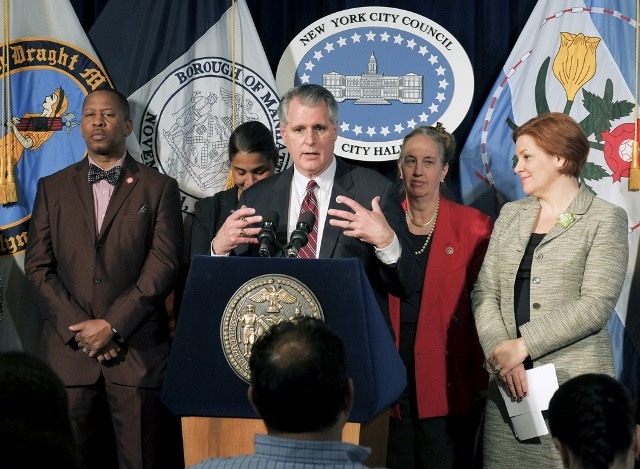 Councilman James F. Gennaro (D-Fresh Meadows) lauded the passage Tuesday of the latest in a series of measures meant to secure a sustainable future and local ‘green’ jobs for the City of New York. The bill, Int. 694-A, clears the way for the study of geothermal energy – an already existing technology that harnesses the energy from the sun’s rays stored in the upper level of the Earth’s crust to heat homes and businesses in the winter and cool them in the summer. Geothermal energy works by tapping into the Earth’s constant temperature, just below the Earth’s surface, where the temperature is a stable 50-60 degrees Fahrenheit. In winter, geothermal systems transfer heat from underground into buildings. 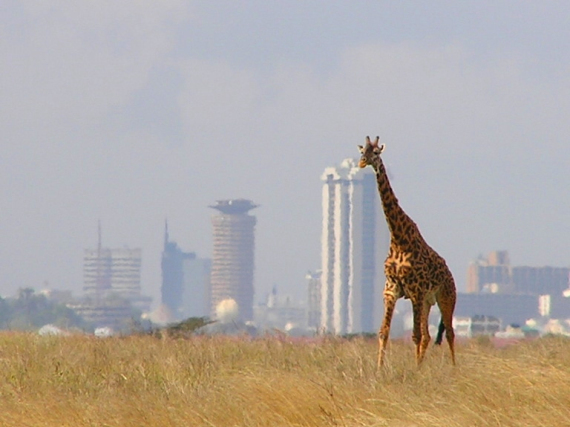 In summer, the system is reversed, transferring heat from buildings down into the ground. “Unlike solar or wind, geothermal is a consistent source of energy. No matter what’s happening on the surface, the energy stored just under our feet will be available to provide for the heating and cooling needs of families and workers throughout our city,” Gennaro said. This bill requires the Office of Long-Term Planning and Sustainability to create a map of the city showing where geothermal energy systems are appropriate based on geologic conditions. That map will then be made available to the public. 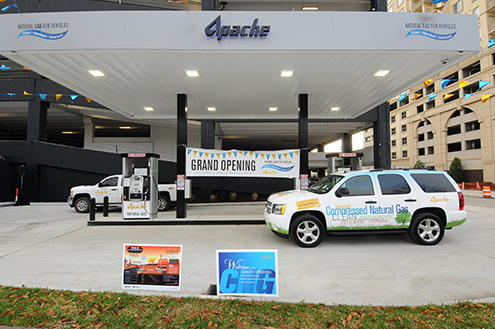 The City of Beverly Hills, Calif., recently opened its new compressed natural gas (CNG) fueling station. The new station will fuel the City’s growing fleet of CNG vehicles, which now includes four new refuse trucks. According to the City, the $1.2 million project will save the City $250,000 each year in estimated fuel costs and will pay back the City’s investment in five to six years (based on comparing the price of CNG to that of diesel fuel). For the four new refuse trucks, the City purchased CNG models due to a mandate from the California Air Quality Resources Board (CARB). 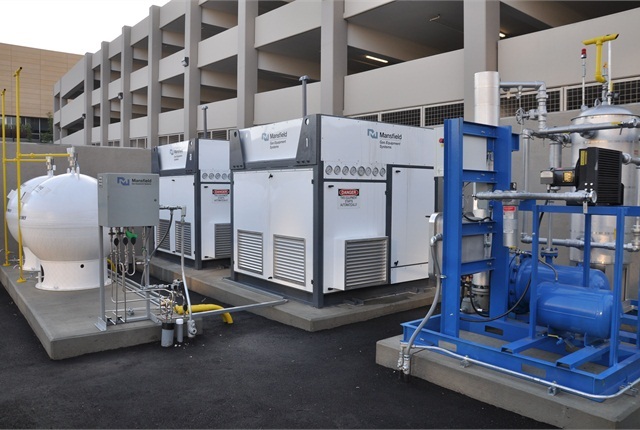 The City received a $550,000 grant from the Southern California Air Quality Management District (SCAQMD) to offset the cost of the CNG vehicles and related infrastructure. Out of that amount, Beverly Hills applied $300,000 to help fund the construction of the fueling station and put the rest toward the CNG refuse trucks themselves. In addition to the new refuse trucks, the City has already purchased a number of CNG models or has converted them to CNG. They include six refuse trucks, four street sweepers, a Honda Civic sedan, and a vactor truck (for cleaning sewers). Regarding the new CNG fueling station, it features fast- and slow-fill dispensers. It has a total of nine posts with dual-fill hoses for slow-fill dispensing and a single fast-fill dispenser, which can dispense up to 20 gallons within 10 minutes at maximum pressure. It has a production capacity of 653 gasoline gallon equivalents within eight hours and comes with two storage spheres (the City can add one more sphere if greater capacity is needed). The City contracted with Mansfield Equipment Corp. to set up the station. This article was first published by Government Fleet.